The prominent lead editorial in the New York Times of Sunday, 8 January 2012 is entitled ‘An Engineered Doomsday’. It concerns recent avian influenza H5N1 research, in which scientists in the Netherlands and at the University of Wisconsin found that by passaging the virus in ferrets it could acquire aerosol transmissibility. Let’s determine if the scientific facts warrant the frightening title. …the research should never have been undertaken because the potential harm is so catastrophic and the potential benefits from studying the virus so speculative.…they created a virus that could kill tens or hundreds of millions of people if it escaped confinement or was stolen by terrorists. …the new virus…ought to be destroyed. The intent of the experiments was not to create a doomsday virus, but to answer questions about why the H5N1 virus transmits well among birds but not humans. This experiment cannot of course be done in humans, so it was carried out in ferrets, a model for influenza. The results show that aerosol transmissibility in ferrets can be achieved with just five amino acid changes, with no reduction in the virulence of the virus. That result does not mean that the same amino acid changes would have the same effect in humans – it just tells us that achieving aerosol transmissibility in an animal model is relatively easy. Whether tens or hundreds of millions of people would be killed depends on the ability of a virus to not only transmit among humans, but to retain virulence. There is no evidence that the ferret-passaged H5N1 virus has these properties. In the unlikely event that the virus somehow escaped and began to infect people, its spread could be controlled by vaccines (candidates are under development) and antivirals (existing neuraminidase inhibitors are active against influenza H5N1). Thus far the virus has infected close to 600 humans and killed more than half of them, a fatality rate that far exceeds the 2 percent rate in the 1918 influenza pandemic that killed as many as 100 million people. This statement refers to the fact that nearly 60% of the 573 WHO-confirmed H5N1 cases have died. This death rate appears staggering until one considers how it is calculated. The WHO case definition for H5N1 influenza states that an individual must have a febrile respiratory illness, known exposure to H5N1 virus in the previous 7 days, and confirmation of infection by virus culture, polymerase chain reaction, or tests for antibodies. These conditions are highly unlikely to be fulfilled in rural populations where most H5N1 infections probably occur. The case fatality ratio can only be calculated by dividing the number of deaths by the total number of infections – and we do not know the latter number. Of ten large studies that have tested for H5N1 antibodies in rural populations, two were negative and 5 reported the presence of H5 antibodies in 0.2 – 5.6% of indiviudals. Much more work needs to be done to determine the actual fatality rate of influenza H5N1, but the WHO estimate is orders of magnitude too high. The Erasmus team believes that more than 100 laboratories and perhaps 1,000 scientists around the world need to know the precise mutations to look for. That would spread the information far too widely. It should suffice to have a few of the most sophisticated laboratories do the analyses. As I have argued before, limiting the dissemination of scientific information only serves to impede progress. It is impossible to predict which laboratory is going to do the breakthrough experiment, and picking ‘sophisticated’ laboratories is meaningless. Defenders of the research in Rotterdam claim it will provide two major benefits for protecting global health. But it is highly uncertain, even improbable, that the virus would mutate in nature along the pathways prodded in a laboratory environment, so the benefit of looking for these five mutations seems marginal. I would like to see the studies on which this statement is based. It is well known in virology that mutations selected in laboratory experiments can be been identified in nature. 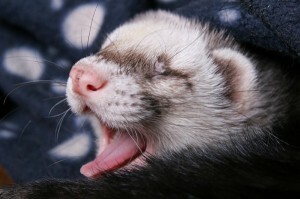 For example, the mutations identified in the H5N1 influenza viruses that transmit among ferrets have indeed been observed naturally in animals. The fact is that no particular viral mutation is improbable, given the enormity of viral diversity in nature. But genetic changes that affect transmissibility do not necessarily change the properties that make a virus susceptible to drugs or to the antibodies produced by a vaccine, so that approach may not yield much useful new information. I think it is a good idea to have a public dialogue to understand the goals of influenza H5N1 research. But the discussion should be based on scientific fact, not doomsday scenarios. The Times does everyone a disservice by basing their opinion on science fiction. There is no H5N1 vaccine that could be mass produced and distributed quickly enough if the engineered virus were released in the unlikely scenario of accidental human-human transmission. Further, there is no guarantee existing experimental vaccines would cover the engineered strain- seed stock of the engineered strain would need to be sent for testing and evaluation. One should realize that containment may be nearly impossible if the virus transmits efficiently due to inherent delays in detection, recognition, warning, and response. This is operational reality in today’s world. Academic discourse is often different from operational reality. While playing “Chicken Little” is rarely a helpful form of risk communication, this is indeed a situation of very low probability / horrendous potential consequence that cannot be overlooked. As a final point, you might refer to the copious literature on laboratory accidents to remind oneself of the frequency with which infectious agents DO escape the laboratory setting. I don’t agree. Plant virus-like particle vaccines, currently in phase two, could be produced in two weeks. One square meter of plants produces 20,000 doses of vaccine. You are looking at this problem only from an operational, response viewpoint, which I fully appreciate. However the science argues that this scenario is highly unlikely to occur with H5N1 influenza. This is not academic discourse – this is hard science which the policymakers such as yourself always fail to recognize. You are mistaken. I am not a policy maker but an operations professional of many years experience including the provision of warning for the 2009 H1N1 influenza pandemic. I have been on-deck to see such warnings translated into response action, and I come to you with that perspective- the delays are significant. And I am very surprised to hear you believe that experimental vaccines such as you mention above at Phase 2 trials automatically equals operational reality. It does not, and if that virus had improbably escaped the lab and began transmitting efficiently in the surrounding community, we as a global community might have had a serious situation on our hands. Perhaps a review of current vaccine production practices might be helpful to you. You should most definitely review all publicly known laboratory accidents to see how quickly these incidents were and were not recognized. Again, the gulf between the academic discourse and operational reality. So you are saying that, if an improbable laboratory accident involving this virus occurred yesterday you could grow up enough acreage of plants (again assuming the event was detected and recognized fast enough and you were provided the sample virus quickly enough) to produce enough vaccine for the United States’ 300 million citizens? What about the billions of people in the world? This is a “back of the napkin” calculation Professor. What do you think? How long would it take? Science is fallible. Take a look at the global prioritization of concern over A/H5N1 in 2004-2008 as the top influenza virus of concern to monitor worldwide. And then A/H1N1 surprised everyone by becoming the next pandemic. Perhaps a review of the current influenza A/H3N2v situation in the United States might help you better appreciate the time delays in local-national-international detection/recognition/warning coupled to progressive vaccine production cueing by HHS. We are most certainly not looking at weeks but months. This link goes through the impressive time deltas on the detection / recognition / warning side. The survey of incidents from 1930 – 1950 is not realistic to compare to today. In that period the use of negative pressure, etc was not practiced much. Handling of things like smallpox on the bench was common. While there is never zero risk of an escape, that risk is very low. And it needs to be weighed against the opposing risk. It is a risk to not know: A. How easily H5N1 might mutate to an easily transmissible version. B. What those mutations might be. I have not reviewed this specific vaccine, but tobacco mosaic virus is the most common plant virus to use. It is an RNA virus but transmission occurs quite well with DNA rubbed directly onto leaves slightly abrasively. It takes 4-5 days to fully develop in the leaves. Macerate the leaves and spin out debris. It wouldn’t be practical to vaccinate all, but we had a good trial with SARS some years ago. That was contained with basic procedures and there was no vaccine. With a vaccine ring vaccination can work. To produce 300 million doses would require 5 acres of inoculated plants which is potentially doable in 10 days with a crash program. The primary difficulty would be processing and distribution of doses. That could be difficult, I agree, but not impossible. The way I would do that is to send out leaf material to volunteer labs all over the country. Yes, time lags are large. Those can be worked with, but it is not easy, I agree with that. I will have to review what the numbers were for SARS. Do you have them? I’m really surprised how big this story is in the US. In Europe noone even knows about this, even in the scientific world, except of influenza groups maybe. There are no reports in TV or newspapers. And yet it seems that the whole US is in fear of this publication. It appears to me that the cause of release of this deadly virus is changed daily. First there were terrorists, now it’s an accidental release from a lab. I mean seriously, probably these mutations were there in the wild years ago and will be there again. And how often does a pathogen really escape from a lab? So the NYT rather prefers not to know what Mother Nature and Father Darwin are capable of. They are afraid of what research can find out, but not of what simple Evolution can do. This is a sentiment I have read a couple of times in patients forums recently. “Where is research taking us? I don’t like where research is taking us!” If the difference between avian flu and ferret flu is five changes, I want to know. There, I said it, the NYT should not have been published. “The survey of incidents from 1930 – 1950 is not realistic to compare to today.”Really? The point is the more virulent an agent is, the more likely (however the low probability) an accident is- the human factor is always present, even in maximum containment laboratories. We continue to see laboratory accidents today despite modern technology.Further, academia seems to be quite disconnected from what a motivated terrorist group might do with limited means- limited means that may well equate to biological safety protocols not much better than that of the 1930-1950s. Never underestimate the motivation… and stupidity… of a terrorist group. Again, huge assumptions being made here. We have studied several of these state and non-state groups that worked with agents and found that accidents DID happen, and if someone was paying attention they might of picked up on the signatures in media feeds… which of course represents an opportunity to intercept these groups before they actually do harm.As far as your assertions go with vaccine production, they are simply wrong- I challenge you and the author of this blog to prove you could activate this very new technology with FDA approvals in place for human use if an accident happened yesterday. I am quite dubious enough vaccine could be produced for the entire country and the world in a little over the week. I agree, we all hope for the “someday” but you are talking to an operations guy here- “show me, don’t tell me”. And by the way, the lurkers paying attention to this discussion who are familiar with the realities of vaccine production TODAY agree…Lastly, the most important point we can all agree upon is the likelihood of transmissibility and an accident occurring in the first place- it was very, very low. And I actually am in support of the research needed to understand what mutations would be required, however that information should be controlled until a suitable countermeasure is developed… just in case we do have a bad actor out there interested in causing global mischief. If you examine the sociology literature on warning behavior and threat perception, you will note the public takes a brutal viewpoint with “cowboy behavior” when it comes to an “oops” where someone was not conservative with managing risk- especially when the albeit improbable outcomes are associated with potentially horrendous consequences for the world. Brian. I am not aware of ring vaccination being useful for influenza. Other viral agents yes. Your correct that it is theoretically possible to use plant to make enough vaccine for the US. However moving from phase 2 to use is unprecedented. Not sure even a EUA would allow that. Given that most of our healthcare supplies (including) sryinges come from SE Asia, I don’t see the value in only having enoug vaccine for the US. We would not have the critical supplies we need to sustain life in the US if this was a bad H5N1 pandemic. US policy reflects this. After operational issues you have efficacy issues. Current HA head based vaccines have variable efficacy, especially in populations most at risk. I just don’t see a point and saying that we can have a vaccine to respond to this. In theory yes, but that is far from reality. I still dont get why an “bad actor” ultimately needs to use H5N1. There are plenty of nasty viruses and even more nasty bacteria out there and everybody can get them if they really force it. You are correct that ring vaccination has not been effective for influenza to date. Ring vaccination is not effective with most airborne illness simply because it is not normally possible to find all potentially exposed parties. But the SARS response did find all exposed parties and the SARS response would be model for H5N1 response. With better surveillance and tracking in a SARS-response like manner, ring vaccination should work. Yes, moving from phase II to rollout would be unprecedented, but that is just regulation. An executive order could do it. Any sane nation would issue it. There are contingency plans for rapid rollout of totally new vaccines in a bioweapon scenario. It’s basic. Yes, efficacy is always a concern. The vast majority will be protected, or at least primed. I would also point out that protection from severe illness can still be conferred in the absence of sterilizing Ig titers. Sterilizing immunity is not required to improve survival. In fact, vaccines that result in virtually zero Ig titers but that stimulate CD8 immunity work in all but infants about as well as classical vaccines that do both. (DNA vaccines) That is because while Ig is protective, CD8’s actually clear the illness. For those patients who became ill after being vaccinated, a course of antivirals would be the treatment of choice. Anti-viral drugs would also be the treatment of choice for people who contracted the disease. H5N1 occurs in Central Asia, Africa, all over the world. A group in Quetta could apply the passage method just fine. It could be done in caves. They could use human prisoners, volunteers, etc. So it’s reasonable to be concerned about. But nothing withheld on this study would hold them back from doing it. Those guys care about results, and that’s it. It’s easy and virtually cost-free to passage a disease if you don’t care about regulations. And those who have declared their intention to acquire bioweapons do not care about regulations – to put it mildly. These are the kind of people who used the method of beheading journalists on camera to control the PR coming out of Iraq. They are not worried about regulations or facility inspections. That said, you are quite right. Anthrax is common in Central Asia and the Middle East. It’s easy to get. A short trip to Africa could net Ebola. Prisoners could be infected, and even Ebola could be subjected to passage to improve its virulence. Simple methods for population inoculation would work. Ring vaccination would be ineffective in this particular improbable scenario. Again, it would have been unlikely an escape that transmits in the community would have been recognized fast enough to identify all of the contacts. The more efficient the transmission and the lower the case fatality rate, the far less likely. Regarding anti-virals, again better make sure the world has enough supply RIGHT NOW because you would see the emergence of ‘panic buying’ by healthcare facilities. 1. Few agents provoke the level of social anxiety that H5N1 does, and few have such worldwide “name brand” recognition. It is a tremendously disruptive agent, far more so than anthrax in endemic countries. Therefore, it is a “choice agent”. 2. Ebola is extremely difficult to acquire and handle- far more difficult than H5N1. – Greater virulence = greater impact if a release occurs. Probability of release is a matter of equipment and procedures. – Quite true. And the histrionics over release of sequence data proves that. FWIW – I think Racaniello has his head on straight. I do not underestimate them. I have studied them and written on the subject for West Point. I am quite familiar with their strengths and weaknesses. – I am glad you are doing that. I agree – Murphy’s law applies to terrorists too. Have you published it somewhere? Blog perhaps? – With FDA approvals? No. Couldn’t happen. Would require an executive order, which should happen. – My absolute minimum timeline would be about 10 days to produce enough raw material to dose the USA. After that? Collection and Fed-Ex, 3 days. Many volunteer labs processing? About 3-5 days. Packaging doses? That would be on the order of 2 weeks running flat out. Alternatively, physicians and RNs could set up at the processing facilities and use fresh material drawn up into syringes from flasks. Absolute minimum, 18 days to be able to offer something to everyone. But – enough to perform high priority ring vaccinations could be produced in one week, bottled into doses. A couple thousand doses. – I understand completely what you mean. The USA has responded to one serious PH emergency in modern times, that was SARS. War footing is not business as usual. Now, making sure that transition to war footing was made is worth arguing about. – We do have countermeasures. Antivirals. The terrorists interested in bioweapons don’t need that sequence info to be successful. If they had the capability for that kind of sophisticated synthesis we would already be in very serious trouble. There is a lot that could be synthesized. – We have them. They declared their intentions in the 1990’s. I trust them on that. I understand the need to model the response. SARS makes it easy, but influenza is very different, especially when it comes to detection (i.e. fever with SARS vs Influenza). We could detect cases before they were infectious, not so with influenza. No disagreement with the rational nations moving from phase 2 to use, as an H5N1 pandemic has the potential to be catastrophic. However, studying the response from governments, particularly the US in 1976, 2001, 2009 i think the best possible case scenario is for a vaccine post 1st wave. Again, for the immune response to influenza from vaccination, most of this is theoretical. If you review VRBPAC meeting minutes its clear how poorly understood the correlates of protection for influenza from vaccination are. I would love to see other components of the immune system stimulated by influenza vaccines, as the immunology suggest much greater efficacy, but we dont have the efficacy data (against lab confirmed influenza) yet for that. The phase 2 trial for tobacco based vlp vaccines are not these kind of vaccines they are either HA ns1 deletion or HA head based VLPs. These do not elicit the type of immune response your talking about. Sure those kind of vaccines can be looked at but they are not in phase 1 for these vaccines. Clinical evidence for current H5N1 infections and treatment with antivirals is poor (http://www.nejm.org/doi/full/10.1056/NEJMra0707279). This is likely related to late treatment. I recognize clinical disease would likey be different in a pandemic. Late treatment also happened during 2009 in well equipped hospitals in the US. I understand your points and want to highlight how we can respond if this did happen too. As has been pointed out we dont have all the answers for this controversy (what is the seroprevelance for H5N1, do ferret transmission studies correlate well to human transmission – pathogenicity studies dont always, etc). I dont see much of a difference between saying 50% CFR or we can respond with a vaccine. There are so many caveats to both statements. We have to stick with the data. Shall humanity forestall scientific research into a viral threat on the extremely distant possibility that doomsday-driven terrorists will surface effectively to try to kill off our species? Our civilization must have priorities. If fear of suicidal mass murderers is now to govern humanity’s existence, all cities should immediately be evacuated, lest madmen set them aflame. Given that a CDC-sponsored team established earlier this year, via a ferret study, that H5N1 is unlikely to become readily transmissible, I’m not keen on having the government decide who in the global scientific community can access the superior research that proved it wrong. I am in no hurry to get into an argument with Dr. Racaniello as his knowledge on this subject is so much greater than mine but I was going to write almost exactly what Iceaxe5 has so I will not repeat it all. I would add that I also had a problem with the ‘controlled by antivirals’ part. The caveat is – if you have access to them. Which is of course not true for most people – ditto for vaccine even if there was a fast ‘time to first vial’ production capacity. I live in the UK and we bought one pack of Tamiflu for half the population but very few of the rest of the 7 billion are going to be so lucky. I just want to remind everyone when thinking about treatment options we live in a world where most people live below the $2 a day threshold. That’s a good point re-diagnostic trigger and infectiousness during part of that period. I should have remembered that. After all, I modeled it. So it’s an open question if a high-mortality influenza could be contained for that reason. We shall probably see, sooner or later. PS – The article isn’t there when I go to your nejm link. I’ll continue that up top. On the issue of treatment of H5N1 – the nejm article link by Kelley below didn’t work for me. PLoS Medicine 2009:6:6 (1 June) • White et al. What Is the Optimal Therapy for Patients with H5N1 Influenza? These two articles illustrate the issues in the developed as well as developing world. While combination antiviral therapy is recommended, in oseltamivir is the mainstay. Mortality is high, but time to starting treatment in the field is as late as 6-8 days after onset of symptoms. I’ll note that Webster used a self-made vaccine preparation using killed H5N1 he insufflated before going out in the field. I would raise the issue of native American mortality. Their rates have been higher than most for a long time for “normal” influenza. (A back-burner manuscript of quite a few years.) But it’s hard to find anybody who cares much about it. I have wondered myself about whether late-stage influenza patients would respond to hyperbaric oxygen. It could buy them the bit more time they need. later for an interview in most cases to start tracking their contacts. It’s just that we don’t do that normally. ScienceNow’s poll most recently showed that 59 percent of respondents favor full disclosure of H5N1 research; 41 percent oppose. Your argument is more about the containment tHen the release of information (which is the real issue in this case). If you think that they shouldn’t have made those mutations because it can accidentally be released, you are probably also advocating against doing research on any bsl3 or bsl4 agents. And we have several of those. If I were I would be more concerned about the release of agEnts like Ebola or other bsl4 types which we don’t have any drugs or vaccines against. stock of the engineered strain would need to be sent for testing and evaluation. efficiently due to inherent delays in detection, recognition, warning, and response. This is operational reality in today’s world. Academic discourse is often different from operational reality. consequence that cannot be overlooked. I’d _love_ to see that “hard science”. Please give a link. to examine that probability of an H5N1 pandemic. Not much results. Next post: Live chat: Should science be censored?